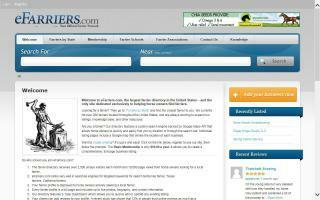 United States Equestrian Directories Directory - O Horse! 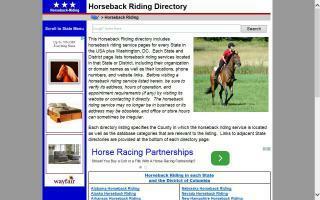 Regional horseback riding directory showing website links, locations, and categories. 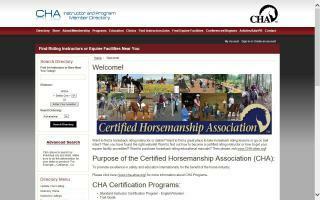 Certified Horsemanship Association (CHA) certifies riding instructors, accredits equine facilities, maintains an online database of instructors searchable by state, publishes educational manuals and DVDs, and produces conferences for all horse enthusiasts. Christian horse lovers join us on ChristianCowgirl.net for Christian horse devotions, articles, a directory of Christian riding stables, a forum, ecards, contests, and more! eFarriers.com is a website connecting horse owners with certified and professional farriers. Our network includes a variety of local farriers providing professional farrier services, such as barefoot or natural trims, hot & cold shoeing, corrective trimming and shoeing, therapeutic hoof care, and much more. Selling a horse? Looking for handicapping advice? Need a new trainer? Or horse property? 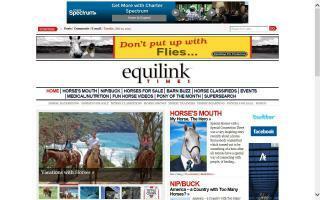 Equilink will help you source the right products or services for all your horse related needs. For everyone from Olympic riding contenders to complete novices. 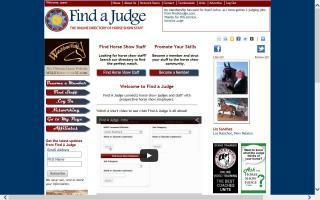 FindAJudge.com is an online directory of horse show staff created to make the horse show managers search for good help easy. Free to search. The members are now listed for the managers to find them, read their resumes, and hire new people to them to fill their horse show positions. Have an unexpected cancellation or emergency? Here is a list of people who can help you out of a bind. All disciplines and all types of horse shows and events. Check it out. 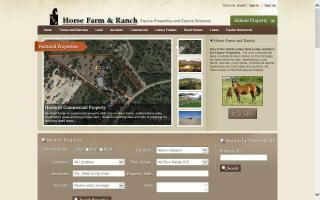 - Farms and ranches for sale. 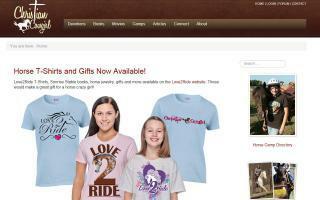 - Equine businesses and services. 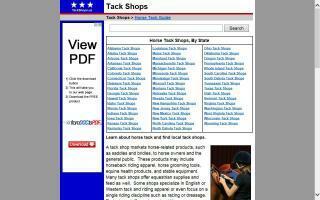 - Horse trainers, western stores, tack stores, and equipment for sale. Horse Stable Review is a free comprehensive national directory of stabling facilities featuring boarder reviews built upon your submissions and reviews. 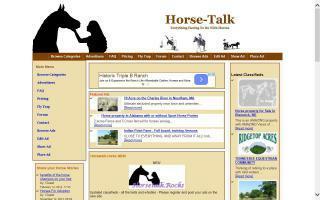 United States horse directory. A site for every state in the union. Hosted by Horse Talk New Mexico.